You shouldn’t have to shell out the big bucks every time you go to the grocery store—but you shouldn’t be relegated to the bargain bin, either. 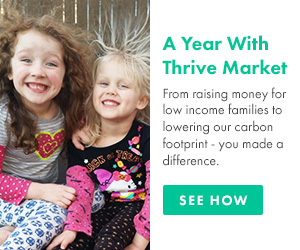 Thankfully, there’s a solution to this shopping conundrum: Thrive Market offers all the healthy, high-quality foods and products you know and love, at prices anyone can afford. 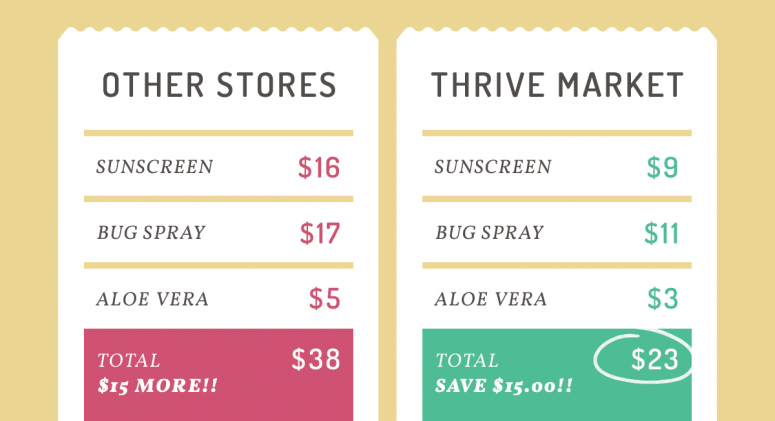 Just check out how much we saved on sun protection products, natural bug repellents, and other summer must-haves! Barbecues, concerts in the park, day trips to the beach, al fresco dinners, camping excursions. Come June, almost every weekend offers an opportunity to get outside and play. With so much summer fun to be had, it’s easy to forget about the downside. Ultraviolet radiation can cause sunburns, premature aging, and even skin cancer—no bueno. 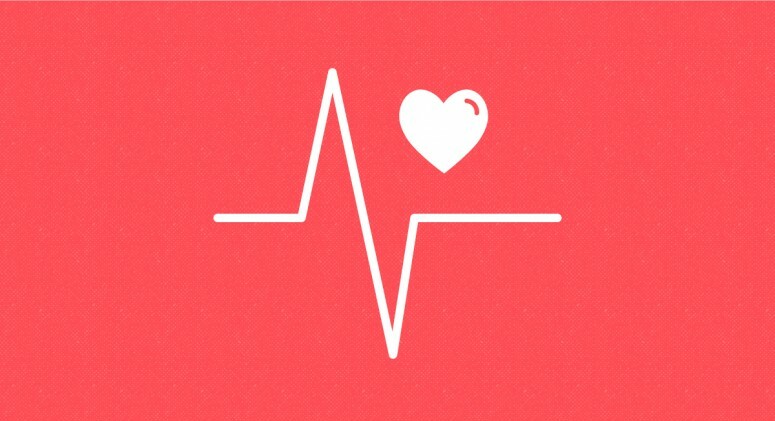 Protect yourself with a broad spectrum sunscreen, and don’t forget to reapply every couple of hours. If you’re out hiking or exploring, you’ll want some bug repellant, too. And just in case you do get a little too much sun, stock up on aloe vera gel, which can help cool off a painful burn and help skin heal faster. 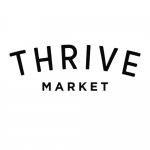 Skip a trip to the drugstore and stock up on everything you need for summer—from DEET-free bug sprays to nontoxic, organic SPF products—at Thrive Market, all up to half off retail!